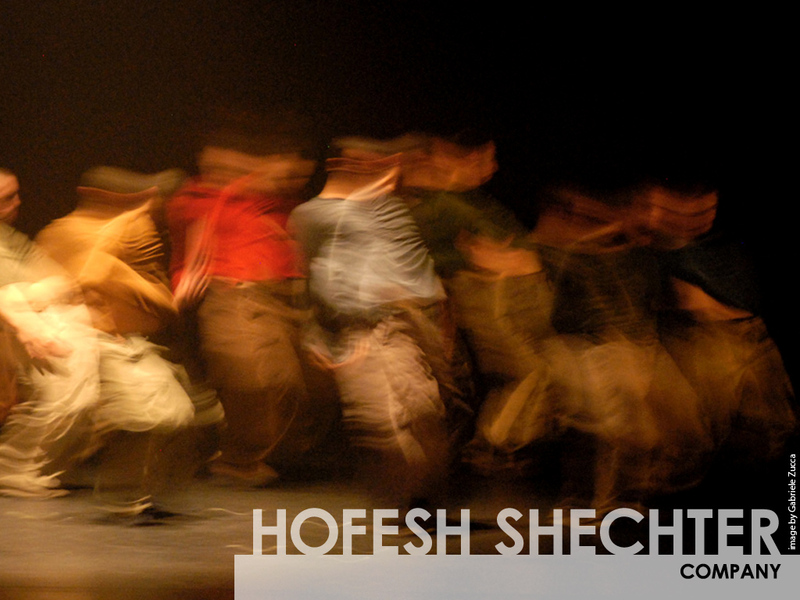 Hofesh Shechter è uno dei nomi di punta della nuova coreografia inglese. Formatosi in Israele con Ohad Naharin alla Batsheva Dance Company, si è rivelato nel 2004, ventinovenne, quando il suo lavoro Cult ha vinto a Londra l’Audience Choice Award al Place Prize – l’equivalente inglese per la danza del celebre Turner Prize per l’arte visiva. Da allora, sono seguiti altri riconoscimenti e nominations, è stata fondata la Compagnia, sono arrivate le tournée in Inghilterra e all’estero e le commissioni di nuovi lavori da parte di teatri e festival importanti. Come quella per la coreografia che vedremo al Ristori, Political Mother, il primo lavoro a serata intera di Shechter. E’ andato in scena nel 2010, commissionato appunto da un festival come la Biennale de la Danse de Lyon, dalla “centrale” londinese della danza, il Sadler’s Wells Theatre, il Théâtre de la Ville (Parigi), il RomaEuropaFestival, il Festival Movimentos (Wolfsburg), il catalano Mercat de les Flors, il Brighton Festival. In questa coreografia deflagra l’immaginario politico e umano di Shechter, con una concentrazione di immagini forti, interrogandosi sulle sregolatezze del nostro mondo. Il gruppo, sicuramente più dell’individuo, mette in gioco la sua sopravvivenza in un universo ansiogeno dei più emozionanti. E questo, con la carica bruciante della danza e la potenza eversiva della musica metal, scritta dallo stesso Shechter e suonata da una band dal vivo. “This is one angry piece, delivered like a roar of defiance in the face of an omnipotent, malevolent force. It’s visceral, painful, and very, very exciting” (D. Craine, The Times, May 2010). (Twitter: @hofeshshechter)“Shechter is a true original” – Judith Mackrell, The Guardian, December 3, 2005Hofesh Shechter is recognised as one of the UK’s most exciting contemporary artists, with his eponymous Company touring worldwide to audience and critical acclaim. A former Drummer in a rock band, Shechter is renowned for creating the musical scores for each of his dance creations with his raw, atmospheric music complimenting his Company’s unique physicality.After graduating from the Jerusalem Academy for Dance and Music Hofesh moved to Tel Aviv to join the world-renowned Batsheva Dance Company. Here he began drum and percussion studies which continued in Paris at the Agostiny College of Rhythm. Subsequently he began experimenting and developing his own music whilst participating in various projects in Europe involving dance, theatre and body-percussion. In 2002 Hofesh arrived in the UK. Hofesh made his choreographic debut with the duet Fragments (2003), followed by Cult for The Place Prize 2004 and Uprising (2006), his ever-popular work for seven men. The three works formed the triple billdeGENERATION, Hofesh’s first full evening of work. In 2007 he was commissioned by London’s three major venues The Place, Southbank Centre and Sadler’s Wells to create In your rooms. Drawing further from Hofesh’s now signature style of original music and choreography, Shechter was catapulted into the media spotlight with much anticipation surrounding the premiere of the work, resulting in sell-out performances and standing ovations at Sadler’s Wells Theatre. After forming his international Company of highly skilled, individually talented dancers in 2008, Hofesh created The Choreographer’s Cut in 2009. Commissioned by Sadler’s Wells and performed at London’s iconic music venue the Roundhouse; Hofesh reworked his acclaimed double billUprising/In your rooms to feature a band of 20 musicians alongside a company of 17 dancers. Also in 2009 Hofesh was commissioned by Brighton Festival to create the “exquisitely acrimonious” The Art of Not Looking Back(The Observer, 2009) which was inspired by and made for six female dancers. An outdoor version of the work was presented at Latitude Festival later that year. In May 2010 Hofesh presented his first full length work Political Motherwhich premiered at the Brighton Festival. Featuring Shechter’s cinematic score, the piece was performed by 10 dancers and featured a band of 8 live drummers and electric guitarists. The success of the show gained the Company the worldwide attention they deserved, and they have since toured their repertoire to Australasia, United States, Asia, and across Europe gaining a huge following. Returning to the piece in 2011, Sadler’s Wells commissioned Hofesh to create Political Mother: Choreographer’s Cut, with an even larger band of 24 musicians and 16 dancers. The show was deemed ‘a mind blowing mix of sound and vision’ by critics and cemented Hofesh’s reputation as both a choreographer and composer of recognition. Fresh from the show’s success, Hofesh’s worked in collaboration with the sculptor Antony Gormley to create Survivor, a large-scale art/music performance which premiered at the Barbican in January 2012. Hofesh has been commissioned in the UK by Bare Bones Dance Company, Edge and Verve (the postgraduate companies of London Contemporary Dance School and Northern School of Contemporary Dance respectively), StopGAP Dance Company, Scottish Dance Theatre, CandoCo and Dance United. Internationally, Hofesh has made new work and remounted works on Ballet CeDeCe (Portugal), Hellenic Dance Company (Greece), Bern:Ballett (Switzerland), Skanes Dansteater (Sweden), Carte Blanche Dance Company (Norway) and Cedar Lake Contemporary Ballet (New York). In 2012, Hofesh will create a new work for the first-ever performance by new UK-wide youth dance company, the U.Dance Ensemble, which premiered at the Southbank Centre in July 2012. Hofesh worked as choreographer at The Royal Court Theatre for Motortownby Simon Stephens (2006) and on The Arsonists (2007), collaborating with director Ramin Gray on both productions. He was choreographer for the National Theatre’s award-winning production of Saint Joan (2007), directed by Marianne Elliot and starring Anne Marie Duff. He also choreographed the hit dance sequence ‘Maxxie’s Dance’ for the opening of the second series of Channel 4’s popular drama Skins. His work has earned him a string of nominations and awards including: winner of the 3rd Serge Diaghilev choreography competition (Fragments), winner of the Audience Choice Award at the Place Prize 2004 (Cult), nominated for a South Bank Show Award and winner of the Critics Circle Award for Best Choreography (modern) 2008 (In your rooms), and nominated for a South Bank Sky Arts Award 2011 (Political Mother). He was also winner of the Movimentos Most Promising Newcomer in Dance Award (2009) and the British Theatre Institute’s Award for Excellence in International Dance (2011). Hofesh is an Associate Artist of Sadler’s Wells and Hofesh Shechter Company is Resident Company at Brighton Dome. Born in Cairo, Egypt in 1974, Bruno studied dance in Paris (C.N.S.M de Paris) under the direction of Quentin Rouillier, after which he worked for Beatriz Consuelo (Ballet junior, Geneva), Richard Wherlock (Luzern Ballet and Komischer Oper Berlin), Iracity Cardoso and Paulo Ribeiro (Ballet Gulbenkian, Lisbon). He danced in works by Richard Wherlock, Guillermo Bothelo, Ed Wubbe, Orian Anderson, Rui Horta, Ytzik Galili, Ohad Naharin, Mats Ek, Styn Celis, Mauro Bigonzetti, Didy Veldman, Marie Chouinard, Clara Andermatt, Rui Lopez Graca, Regina Van Berkel, Paulo Ribeiro and Hofesh Shechter. Bruno also featured in the film Passengers by Richard Wherlock. As well as being Rehearsal Director, Bruno also dances full time with the Company. Maëva started her professional training at Institut Kim Kan, Paris at the age of eleven before going on to study at the C.N.S.M de Paris, under the direction of Quentin Rouillier. After graduating in 2003, she joined the Junior Ballet (Paris) where she danced in works by Hervé Robbe, Pedro Pauwels, Angelin Preljocaj and Mark Tompkins. Maëva was a performer and founding member of the dance, live music and video collective COLLECTIF LARSEN and during this period she also worked as a freelance dancer in French companies. She then worked with Wayne McGregor as a Dancer and Rehearsal Director for his adaptation for the stage of Kirikou, a movie by Michel Ocelot. After working with Emanuel Gat Company for two seasons, she joined Batsheva and Riksteatern project where she performed and toured Ohad Naharin’s work Kamuyot. Maëva joined Hofesh Shechter Company in January 2010. Born in Brighton and of English/French origin Winifred started her dance training at the Arts Educational School and went on to train at the Rambert School, Ecole Superieure de Danse de Cannes and the Rotterdam Dance Academy. She began her dance career with the Dutch company Galili Dance and then went on to work with Granhoj Dans in Denmark before returning to England to work with choreographer Tom Dale. Winifred was a member of Russell Maliphant company from 2005-2007 where she toured the programme Transmission and Push. Winifred is also a member of BalletLorent. She joined Hofesh Shechter Company in 2007. Chien Ming Chang was born in Taiwan. He studied at the Taipei National University of the Arts. From 2001 Chien Ming worked with Cloud Gate2 in Taiwan and Bern Ballet in 2007 (Stadttheater Bern) under the direction of Cathy Marston in Switzerland. He first performed with Hofesh Shechter Company on tour in the USA , UK and mainland in Europe in Summer 2008 and rejoined the company in July 2009. Sam began dancing at an early age training primarily in improvisation and theatre. As a teenager he discovered b-boying before moving to train at the London Contemporary Dance School, where he graduated with a first class honours degree in 2009. After graduating Sam joined Jasmin Vardimon Company for the productions of Yesterday and 7734. He has also been invited to take part in research and development projects with Jose Vidal and Ultima Vez. Sam joined Hofesh Shechter Company in 2011. Frédéric was born in Northern France, where he began dance and music (drum and percussion). At the age of 14, he continued his studies at the C.N.S.M. de Paris. After three years studying classical ballet he joined the contemporary section. During his training he studied many disciplines, performed in many projects, and worked with various teachers and choreographers such as André Lafonta, Christine Gérard, Yutaka Takei, Cristiana Morganti (Pina Baush). In 2011, he was asked to perform with the Junior Ballet a piece by Yuval Pick The Him and worked on Angelin Preljocaj’s Noces. Frédéric is also very interested in music and choreography, and would like to make his own works in the future. Frédéric joined Hofesh Shechter Company as an Apprentice in April 2011 and full time in 2012. Karima began dancing aged 10 at La Manufacture-Vendetta Mathea, where she studied contemporary dance, ballet and Taï-Chi. As a member of the Manufacture Company from 2004-2007, she had the opportunity to gain stage experience and to compete at national and international levels. Karima moved to Paris to join the contemporary section of the Paris Conservatoire (CNSMDP) where she also had choreography, contact and improvisation classes and was taught by Christine Gérard, Florence Vitrac, André Lafonta and also Peter Goss who really inspired her. As part of her studies, she also worked with Yutaka Takei (Aïkido), Serge Ricci, Cristiana Morganti (Pina Baush), Martin Kravitz, Françoise Dupuy, Samuel Mathieu. She regularly took part of the CNSMDP’s Events where she performed a lot of other students’ works, repertoire pieces (Doris Humphrey, Angelin Preljocaj) and her own choreographies. Karima joined Hofesh Shechter Company as an Apprentice in April 2011 and full-time in 2012. After graduating from the Northern School of Contemporary Dance, James undertook a graduate apprenticeship with Hofesh Shechter Company, performing Uprising / In your rooms as part of the Company’s UK and European tours. James was then invited to join Carte Blanche, the national company of Norway, and during that time performed works by Club Guy and Roni, La Intrusa Danza, Hofesh Shechter and Kristin & Yoshi Inao. James rejoined Hofesh Shechter Company in August 2010. Philip Hulford was born and raised in Bolivia, South America. He studied gymnastics from the age of four until thirteen. During this time he competed in several competitions in Bolivia then moved to England were he competed at a National level. He began his dance training at eighteen at North Hertfordshire College, UK where he began a BTEC equivalent to A levels. After the first year of his studies he was asked to join London Contemporary Dance School for the BA Degree course. One of the choreographers that he worked with while in his second year at the school was Hofesh Shechter. He joined Hofesh for his 2006 tour in September and is now full time with the company. Erion was born in Tirana the capital of Albania. He started dancing aged 6 in Pioneer’s House of Tirana and joined The National Ballet school of Albania when he was 11 and graduated in 2001. He then joined the company of the National Theater of Albania and performed many classical ballet’s. In 2004 he joined Compagnie Linga Lausanne under the direction of Marco Cantalupo & Kartazyna Gdaniec and performed in “Go” and “Emballe Moi”. From 2006-2008 he worked in Theater Chemnitz (Ballet Chemnitz) and 2008-2011 he worked with Bern Ballet (Stadttheater Bern). Erion joined Hofesh Shechter company in June 2011. Yeji was born and raised in Korea and started dancing when she was 15. After completing her undergraduate degree she went on to study at master’s level in Korea National University of Arts before joining Hofesh Shechter Company in Autumn 2009. Yeji has a wide range of stage experience; in 2008 she performed in New York with her school’s own K-Arts Dance Company and again in 2009 in San Francisco. She received Golden Prize in the 38th Dong-A Dance Competition in Korea. She has also performed in 2009 Critic’s Choice of Korean Young Artists before moving to England. Yeji began a postgraduate degree at London Contemporary Dance School in 2010 and joined Hofesh Shechter Company as an apprentice in the same year. After completing her studies, she joined the Company full time. Kim was born in Amsterdam, and at the age of 6 returned to the Netherlands after living abroad. She started dancing at the age of nine and took her bachelor of dance from Codarts, Rotterdam dance academy in 2008. This time included an exchange of one semester at SUNY Purchase, New York. After her diploma Kim joined Dansgroep Amsterdam for half a year as an intern where she got the chance to perform pieces by Itzik Galili, Krisztina de Chatel and Mark Baldwin. From 2009 Kim joined Noord Nederlandse Dans under the artistic direction of Stephen Shropshire. She danced there for three years performing in work by Stephen Shropshire, Emanuel Gat, Andrea Miller, Roy Assaf and Edan Gorlicki. Kim joined Hofesh Shechter Company in 2012. Hannah started her training in gymnastics and trampoline in Brighton and competed frequently at regional and national level. She first started dancing when she entered Sussex Downs College and went on to graduate from the London Contemporary Dance School in 2006. She joined EDge07, LCDS’ postgraduate performance company, touring nationally and internationally, working with choreographers such as Steven Petronio (Strange Attractors, New York ), Stacey Spence (ex. Trisha Brown Dance Company), Charlotte Boye-Christenson and Anna Williams. Subsequently, She had the opportunity to work again with choreographer Anna Williams as a performer in the Place Prize Final 2008. Hannah also performed with the Chisato Minamimura Dance Company for Firsts 2008 at the Royal Opera House. Hannah joined Hofesh Shechter Company in August 2009. Edouard was born in Annecy in France, in his opinion the best city in the world. He started dancing when he studied Hiphop at the Conservatoire à Rayonnement Régionnal of Annecy. After this, he took up contemporary/ballet and did a first year of the University of Marketing. Edouard then joined the Ballet Junior of Geneva, working at the same time at the Foofwa d’Imobilité Company as an assistant administror, with Yann Aubert as a mentor. In July 2012, he worked with the Foofwa d’Imobilité Company for the creation Phenix as a performer. Edouard joined Hofesh Shechter Company as an apprentice in September 2012. Merel Elise was born and raised in Holland. She started her training at the age of 16 at a preliminary dance academy in Amsterdam, where she was introduced to different dance styles like jazz, modern dance, ballet and hip hop. After that Merel studied and graduated in Modern Theater dance at the Hogeschool voor de Kunsten, Amsterdam, The Netherlands. She completed an internship with Scapino Ballet Rotterdam (The Netherlands) and Conny Janssen Danst (The Netherlands). After graduating Merel worked with Ronald Wintjens – Project Sally (The Netherlands), Joost Vrouenraets – Gotra Ballet (The Netherlands), Conny Janssen – Conny Janssen Danst (The Netherlands), Jan Martens – Dansateliers (The Netherlands) and Julian Barnett – Dansateliers (The Netherlands). Merel Elise joined Hofesh Shechter Company as an apprentice in September 2012.